I wanted to share with you a very exciting new digital tool, which Public Health England has developed in partnership with the Joint British Society, British Heart Foundation and NHS Choices. My Heart Age uses the JBS3 guidelines to allow members of the public to assess how key behavioural and physiological risk factors could affect their chances of developing heart disease and stroke. Rather than telling people their risk of cardiovascular disease over the next 10 years, it puts the message across in a more meaningful way; ‘your heart age is 10 years older than your current age’. Historically, similar tools have lacked the ability to effectively communicate risk to people, so this is what makes the new JBS3 tool such an interesting development. My Heart Age provides us with an opportunity to engage the adult population (aimed at those aged 30 and over) to take stock of their lifestyle, seeing the direct link and consequences of not addressing risk factors early on in their adult life. However, the tool also highlights the important fact that it is never too late to make a change. Launched just before Valentine’s Day, My Heart Age has already received over 1 million visits and almost half a million people have completed the full test. But what should people do armed with the knowledge that their heart is older than they are? It is never too late to make changes – even small steps can have a big impact and this is the message we want people to take away with them. By giving people a better understanding of their personal risk they can see how their lifestyle choices can impact directly on their current and future health. 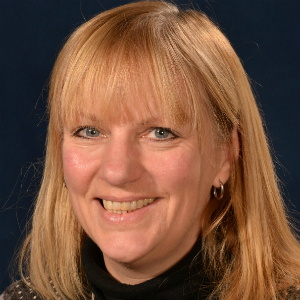 The tool provides us with an important opportunity to increase public awareness and therefore take-up of the NHS Health Check for those aged 40 – 74 in England. We know that roughly half of the people invited for a NHS Health Check take-up the offer, so we hope that the My Heart Age will allow members of the public to see the importance of getting checked and taking action to reduce their risk if necessary. 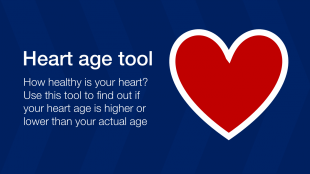 My Heart Age is available for anyone to use and can be found on the NHS Choices website.